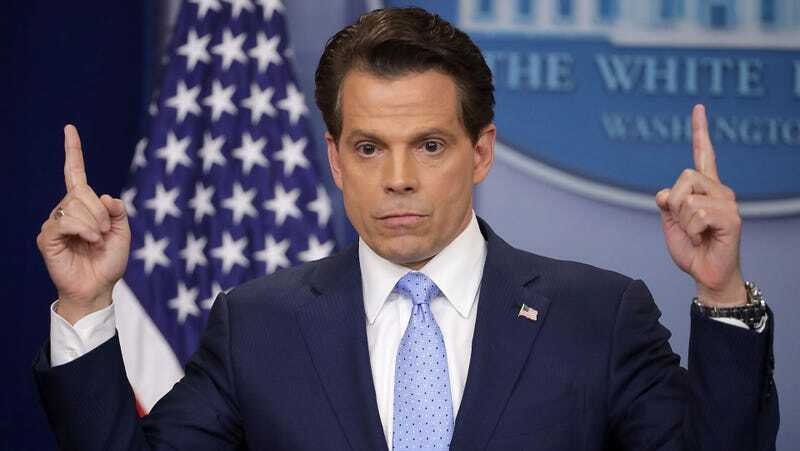 Anthony Scaramucci, a finance guy or something who doesn’t seem to understand anything about being a press flack, called the New Yorker’s Ryan Lizza last night and ethered every one of his White House enemies in one of the greatest and most surreal interviews in American political history. Here are his best lines, ranked by how insane they are. 7. [On the publishing of a publicly available document]: “‘Well, the felony, they’re gonna get prosecuted, probably, for the felony.’ He added, ‘The lie detector starts—; but then he changed the subject and returned to what he thought was the illegal leak of his financial-disclosure forms. I asked if the President knew all of this.